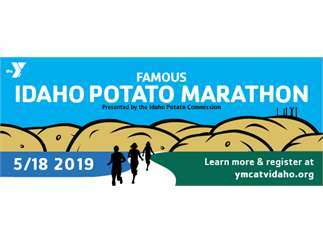 The YMCA Famous Idaho Potato Marathon, presented by the Idaho Potato Commission, is a fun full marathon, half marathon, 10K or 5K course along the Boise, Idaho greenbelt. All courses are flat and fast! This marathon can be used to qualify for the 2020 Boston Marathon. Bring the entire family out for this event! We have a distance that will work for everyone. Enjoy a Famous Idaho Potato Bar with all the fix’ns after the race prepared by Life’s Kitchen for all race participants. Volunteers are also needed for this event. Please email us at event.volunteers@ymcatvidaho.org if you are interested in volunteering.